One (1) grand prize is available (the “Grand Prize”). 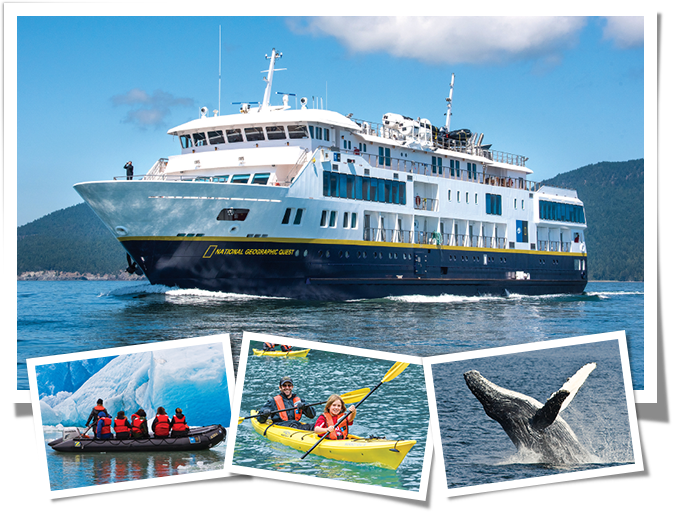 The Grand Prize consists of an eight day National Geographic Expeditions Family Adventure for four (the winner, plus one adult companion (must be at least 18 years old), and two children (under age 18); or winner may elect to bring three children) through Alaska’s Inside Passage aboard one of the National Geographic cruise ships on one of the available tour dates in 2020 (the “Grand Prize”). The trip consists of the following: round-trip economy class air transportation from the major commercial airport nearest the Grand Prize Winner’s primary residence to Seattle, WA, transfer flights to/from Sitka or Juneau, Alaska, up to two (2) nights double occupancy standard hotel accommodations in Seattle, WA if necessary based on flight arrangements; double occupancy accommodations for 7 nights; and some meals as specified at http://www.nationalgeographicexpedit...-cruise/detail are included. The approximate retail value (“ARV”) of the prize is Thirty Seven Thousand Five Hundred Dollars ($37,500.00).